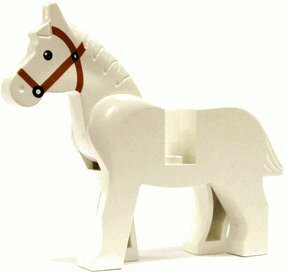 LEGO White minifigure horse. 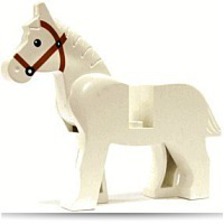 Horses head moves up and down. Use with any 2 inch Lego Figure.